- Page 6 - Vista Casas Real Estate S.L. 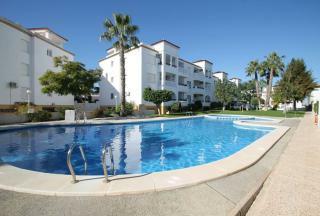 A beautifully presented first floor apartment on the fabulous golf complex of Real de Campoamor. There is a light and spacious lounge/diner with patio doors onto a terrace with a sea view. . 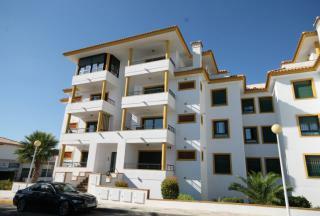 The apartment has been tastefully decorated and furnished and is to be included in the sale.. The Clubhouse and on site gym are there to be enjoyed by owners, as well as being ideally located for all amenities including a supermarket and the many bars and restaurants in La Fuente Commercial centre. Viewing highly recommended. A spacious 2 bedrooms, 2 bathrooms ground floor corner apartment situated on the Villamartin Plaza perfectly located to all amenities. The property offers spacious living area and is just metres away from bars, shops and supermarket and a short drive to a wide selection of beaches and golf courses. An excellent Las Violetas 2 Bedrooms, 2 Bathrooms mid floor apartment only 100m distance from Villamartin Golf Club and Villamartin Plaza, with some 20 restaurants and bars, banks, hairdressers, taxi- and bus-stop, etc. With a built surface (75m2) distributes over an entrance hall, open plan living- and dining-area onto the balcony, kitchen, 2 bedrooms, 1 en-suite bath and 1 family bath room. 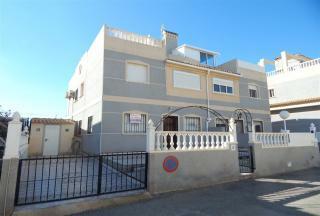 The property has acces to a communal roof terrace and a communal swimming pool. The price includes all furniture, white goods and a garage space. (Reduced by 8,000euros) Located in the heart of Villamartin, this immaculate 2 bedrooms, 2 bathrooms apartment is located in the sought after area of Las Violetas. 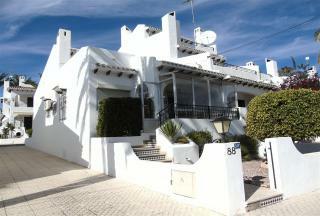 Just a 1 minute walk from the Villamartin Plaza and golf course. 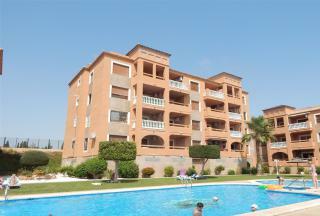 The apartment is within a gated community with spacious living area and the use of a beautiful communal pool and large solarium offering fantastic panoramic views of the local area. 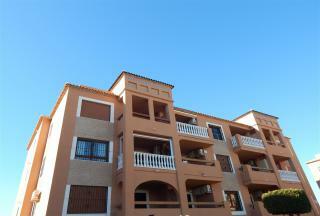 2 bedrooms, 2 bathrooms 1st floor apartment overlooking the communal pool. Walking to the beach and restaurants and bars. Situated in the secure gated El Rincon complex. This spacious property is offered for sale in good condition, furnished & with allocated covered parking space. (NOW SOLD) A well presented 2 bedrooms, 2 bathrooms 1st floor corner apartment situated just a short walk from local amenities. This property offers great internal open plan living area, with use of a communal roof solarium, gardens and pool, while also including private parking space with storage cupboard. Contact us today to book a viewing. 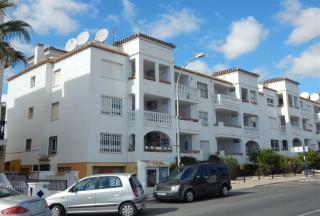 This 2 bedrooms, 2 bathrooms corner apartment is located in a gated community situated in Pau 8, Villamartin. 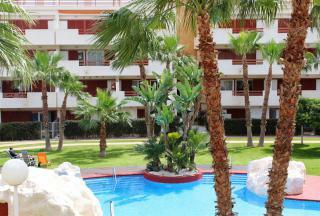 Only a short walk from the Villamartin Plaza and golf course this apartment is ideally located close to all amenities. With lovely mature communal gardens and pool area this spacious property is the ideal holiday home. 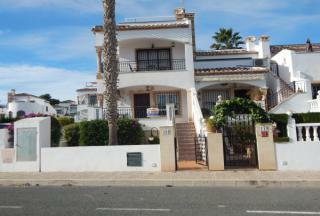 (9,000 Price Reduction) Playa Flamenca spacious quad house 3 bedrooms, 2 bathrooms plus cloakroom, driveway parking and storeroom. Private roof solarium. A short walk to the local shops, bars and restaurants, and the year round Saturday Market and the school. Comes furnished. Close to the coast. Communal pool.